Square Enix and IndieGoGo partner for Square Enix Collective, a platform for "creators to post ideas, and gamers to judge." Various platforms are already available for facilitating communication early on between developers and gamers, letting potential players offer feedback for better or worse. 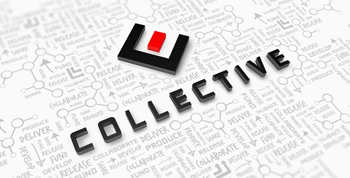 Square Enix is jumping on board with their new platform called Collective. Developers pitch ideas to the community. The community of gamers decides whether the projects "should become reality or not," and Square Enix works with developers to evaluate and discuss ideas, including whether something needs to be added to make the idea work. Submitting a pitch is free, but submitters will need to agree to terms and conditions, naturally. What those are is unknown at the moment. After submitting the pitch, Square Enix evaluates the idea to verify it meets the submission parameters and to ensure it has a realistic budgeting plan. The community then has a chance to provide feedback through Collective. After 28 days if the community has shown support, it will open on Indiegogo for crowdfunding. Square Enix also stated members of the community can continue to be a part of the development process "and maybe even the chance to help take tough or key design decisions too." While some developers may like the idea of communicating with the audience early on, giving your audience the ability to make development decisions might not sit well with others. "Collective encourages an open development process, and as much transparency and communication with the community around decision-making during the development phase as possible," the official site states. Square Enix stated developers will have a chance to work with some of the older Eidos IP, meaning developers might be able to work with some of Square Enix's own properties. More information about submission parameters and IP selection will be made available at GDC Next from Nov. 5 to 7 in Los Angeles.